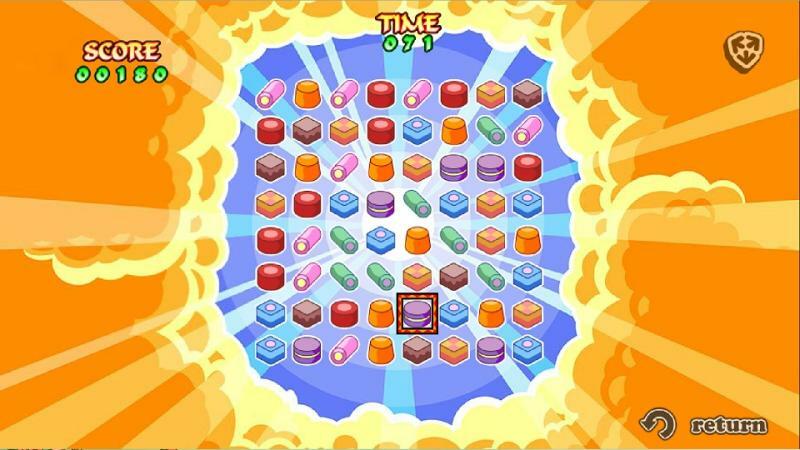 Create rows and columns of sweets to clear them in this mouth-watering puzzle game. Your aim is to score as many points as you can in 3 minutes by clearing rows and columns of 3 matching sweets from the screen. 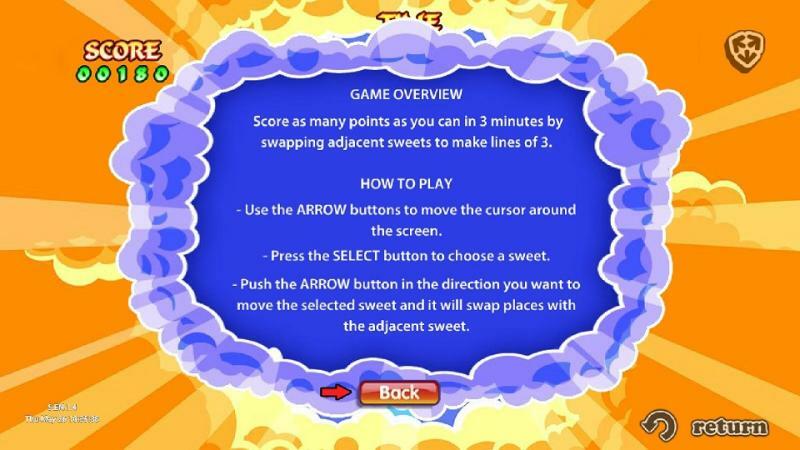 Rows can be created by swapping the position of 2 adjacent sweets, just like a sliding block puzzle. When a row is cleared the remaining sweets tumble down the screen to fill the space and new sweets drop in from the top of the screen. 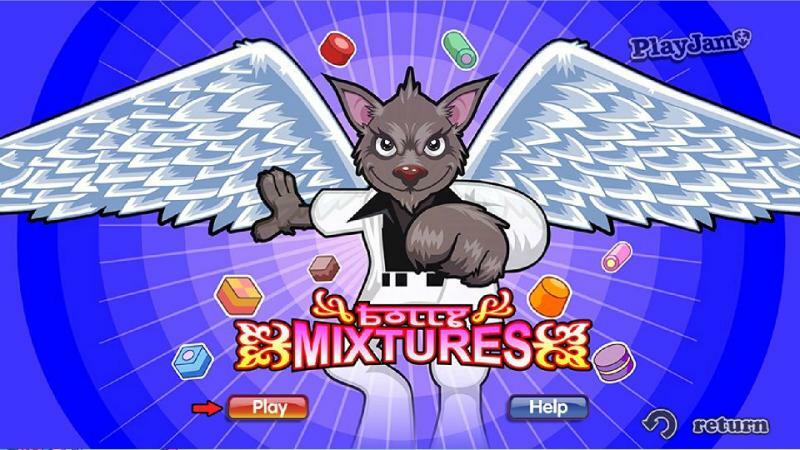 Multipliers and power-ups galore are available for creating 2 lines of sweets simultaneously or creating lines of 4 or 5 sweets. Use the power-ups to create a group of 3 sweets and your score will go through the roof!